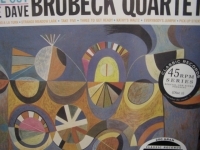 45 Speed LPs - items 50 to 75 Shop MyMusicFix!! 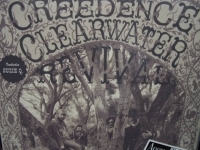 "Creedence Clearwater Revival, The Best Songs from S/T"
45 Speed 12" LP. 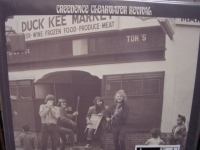 Never have you heard CCR sound so amazing than this Steve Hoffman & Kevin Gray gem remastered from AcousTech Mastering. Tracks Include: "Suzie Q." 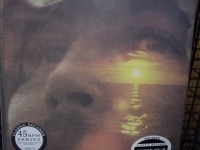 "I Put A Spell On You"
"Creedence Clearwater Revival, The Best Songs from Willy And The Poor Boys"
45 Speed 12" LP. 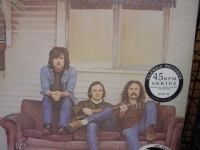 Never have you heard CCR sound so amazing than this Steve Hoffman & Kevin Gray gem remastered from AcousTech Mastering. Tracks Include: "Down On The Corner" "It Came Out Of The Sky" "Cotton Fields" "Fortunate Son" "Don't Look Now (It Ain't You or Me)" "The Midnight Special"
"Crosby Stills & Nash, S/T (4 LPs) - 200 Gram - CURRENTLY SOLD OUT"
45 Speed 200 Gram Limited Edition 4 LP Set (only 500 pressings made) OUT OF PRINT Tracks Include: "Suite: Judy Blue Eyes" "Marrakesh Express" "Guinnevere" "You Don't Have to Cry" "Pre-Road Downs" "Wooden Ships" "Lady of the Island" "Helplessly Hoping" "Long Time Gone" "49 Bye-Byes"
"Peter Gabriel, 3 - 200 Gram LP - 4 LP Set - 45 Speed"
PETER GABRIEL, 3 - Classic 200 Gram LP. Classic Records has proven to be an Audiophile Company second to none in the new millennium. 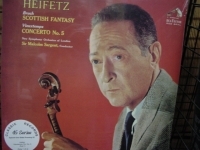 But Classic Records, unlike other top Audiophile Companies, does not place Limited Edition numbers on their LP jackets. Classic Records has just announced that their vinyl weight of 200 gram is now changing to 180 gram. What this change did for Collectors of the finest vinyl pressings was establish a First Edition element to Classic Records Audiophile pressings. All Classic Records titles that were only produced in 200 Gram pressings are now Out of Print and Very Limited Edition Collector's First Edition Pressings. These First Editions have become some of the rarest pressings in the Audiophile Collector's Market. Just try to find them at any Audiophile Retailer after the next few months. You might still find some limited inventory of M-F-S-L or DCC pressings and these 200 gram Classic Records titles will now become that rare in the collectors market. They are simply gone from the market and Mymusicfix has seen some these First Editions sell for over $300. When you take that into consideration, what will this First Edition Audiophile Pressing be worth in the years ahead? It could be one of the most collectible pressings ever in this 200 Gram First Editions. How rare and valuable are each one of these 200 gram sets now still Factory Sealed? Priceless! Mymusicfix is giving you one of the last chances to collect one of these 200 Gram First Editions. 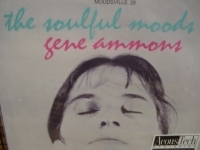 Mymusicfix has a very limited amount of these now Rare Factory Sealed pressings. We're sure you may not have known about some of these titles existed. Have fun collecting these Masterpieces! These are tremendous titles and artists that Mymusicfix still has in these 200 Gram First Editions but we have very few pieces left of each title and prices will continue to rise as inventory continues to dwindle. Tracks Include: " Intruder" "No Self-Control" "Start" "I Don't Remember" "Family Snapshot" "And Through the Wire" "Games Without Frontiers" "Not One of Us" "Lead a Normal Life" "Biko." "Curtis Counce, You Get More Bounce With Curtis Counce #138"
"Dave Brubeck, Time Out (4 LPs, only 500 ever made) - LAST OPY"
"Peter Gabriel, 4 - 200 Gram LP - 4 LPs - 45 speed"
"David Crosby, If Only I Could Remember My Name (4 LPs) - 45 spped 200 Gram - CURRENTLY SOLD OUT"
45 Speed 200 Gram Limited Edition 4 LP Set (only 500 pressings made). 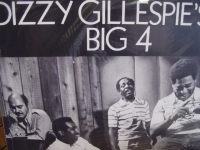 Tracks Include: "Music is Love" "Cowboy Movie" "Tamalpais High (at about 3)" "Laughing" "What Are Their Names" "Traction In The Rain" "Song With No Words (Tree With No Leaves)" "Orleans" "I'd Swear There Was Somebody Here"
"Dizzy Gillespie, The Big Four #140"
"Peter Gabriel, I/Car - 200 Gram LP - 4 LP Box Set - 45 Speed"
"Duke Ellington and Ray Brown, This One's For Blanton #138"
45 Speed 180 Gram Limited Edition Analog Virgin Vinyl. Jimmy Blanton revolutionized the way a string bass was played freeing it from its role as an accompanist instrument before his early death in 1942. 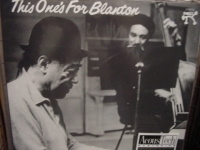 Ray Brown (who looked to Blanton as a personal idol) pairs here with Duke Eillington to pay homage to Blanton while demonstrating his own chops from his study of Blanton's style. 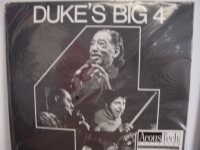 "Duke Ellington, Duke's Big 4 - Two 45 Speed 180 Gram LPs"
DUKE ELLINGTON'S - DUKES BIG 4 Two 45 Speed 180 Gram LPs. This 45 LP SET was mastered from the Original Session Tapes to 180 Gram Heavy Virgin Vinyl and is one of the Rarest Limited Edition Audiophile LP's in existence (only 1000 ever pressed). Don't miss Out. 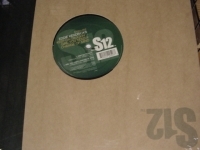 Each set has 2 LPs at 45 Speed, 180 Gram Vinyl on a 12" LP. The nicest thing you can do for your stylus and your ears. The ultimate record -- the way music was meant to be heard and of superior quality for any Audiophile. And of course cutting at 45 speed is the audiophile choice for the highes quality. A 45-RPM record is sonically superior to a 33 1/3 variety because of a 35 percent reduction of groove curvature compared to a 33 1/3 cut.. It means that while you can't fit as much music into a 45, the undukations of the groove that your cartridge has to track are stretched over a longer distance. For these reissues, the music was displaced onto four sides, meaning each side contains about 10 minutes of music. 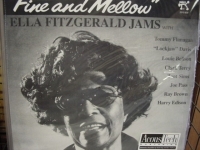 This recording features one of Ellington's finest small groups with guitarist Joe Pass, bassist Ray Brown and drummer Louie Bellson. All of these legends were at the peak of their careers for this date and were recorded in stunning fidelity. Ellington easily keeps up with his younger sidemen with strong solos on songs like "Love You Madly," "The Hawk Talks" and "Cotton Tail." This one is very highly recommended. 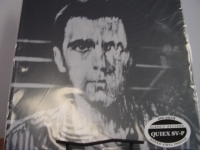 "Peter Gabriel, So - 200 Gram LP - 45 speed"
PETER GABRIEL - SO - CLASSIC RECORDS BOX SET - CURRENTLY IN AN OUT OF PRINT AND TREMENDOUSLY RARE - DON'T MISS OUT - THE AUDIOPHILE 45 SPEED BOX SET THAT INCLUDES FOUR 12" ONE SIDED PIECES OF VINYL. THIS WAS THE 1ST EDITION EVER OF THIS TITLE DONE IN AUDIOPHILE 45 SPEED. LAST COPY FOREVER And of course cutting at 45 speed is the audiophile choice for the highes quality. A 45-RPM record is sonically superior to a 33 1/3 variety because of a 35 percent reduction of groove curvature compared to a 33 1/3 cut.. It means that while you can't fit as much music into a 45, the undukations of the groove that your cartridge has to track are stretched over a longer distance. For these reissues, the music was displaced onto four sides, meaning each side contains about 10 minutes of music. The only way you'll get closer to this classic music is to listen to the master tapes or have been in the studio with the artist originally during the actual session. THE NOW RARE 45 SPEED FOUR LP BOX SET OF THE SAME TITLE. THIS TITLE HAS GONE IMMEADIATELY OUT OF PRINT. THE BOX HAS A SLIGHT BRUISE FROM THE DISTRIBUTOR CLASSIC RECORDS WHEN SHIPPED TO US. EVERYTHING ELSE IS PREFECT. 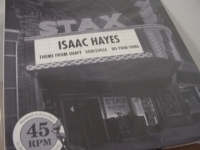 THE WORD IN THE INDUSTRY IS THAT CLASSIC RECORDS PREVIOUSLY RELEASED TITLES ARE NOW OUT OF PRINT. IF THAT IS TRUE THESE MASTERPIECES ARE GOING TO BE PRICELESS. E-BAY STORE. FOR YOUR INDIVIDUAL AUDIOPHILE HEAVY VINYL SELECTIONS - INDIVIDUAL TITLE INFORMATION OR INDIVIDUAL PURCHASE JUST HIT THIS STORES TAB >. & TYPE IN 200G INTO THE SEARCH FIELD WITHIN OUR STORES SECTION AS YOUR PERSONAL CODE FOR ALL INDIVIDUAL TITLES + INFORMATION WILL APPEAR. 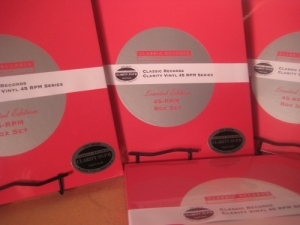 Classic Records' newest formulation: CLARITY SV-P II CLEAR VINYL! The genesis of the new formula came as a result of a visit to High End Audio's self proclaimed Vinyl Guru Michael Fremer's Analog Laboratory. Mr. Fremer demonstrated a Furutech LP demagnetizer. After using the demagnetizer, vocals had so much more texture, bass definition and clarity of every nuance of the recording was vastly improved and there was more low level information than we had ever heard in the recording. Why did the demagnetizer had the sonic effects on a record? Very simply the carbon black that is ADDED to vinyl for LP manufacture contains trace metals that become randomly magnetized and interfere electrically with the cartridge hanging overhead during play. So... if carbon black and the trace metals contained therein caused playback distortion in the cartridge then why not take out the carbon black altogether? Classic Records Clarity SV-P II Clear Vinyl is the answer! Clarity Vinyl represents the ultimate in vinyl formulations because it is comprised of over 90% percentage of the highest quality co-polymer available - a key component in vinyl pellets used for manufacturing vinyl records. Further, Clarity Vinyl has no carbon black additive, common in vinyl formulas for LP's. Carbon Black contains trace metals that become magnetized and cause "electrical distortions" in cartridges during playback that smears the sound. By taking out the Carbon Black, Classic Records is able to dramatically reduce the "electrical distortions" and thus bring more "Clarity" to the playback process, providing a more realistic musical experience to the listener and LP enthusiast. 45 rpm records have long been recognized as providing a higher fidelity musical experience resulting purely from the cartridge being able to extract more of the nuance from the complex vertical and horizontal groove modulations in stereo LP's. Further, Classic Records 45 rpm "single sided" pressings dramatically reduce the mechanical resonances created by the cartridge during playback by allowing these resonances to be more fully transmitted to and absorbed by the turntable platter. Classic Records Clarity Vinyl 45 rpm pressings are designed and manufactured to provide the "LOWEST DISTORTION" in every aspect of LP playback resulting in putting the listener as close to the music as possible. 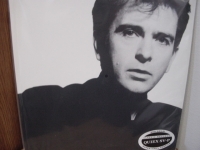 Peter Gabriel introduced his fifth studio album So with "Sledgehammer," an Otis Redding-inspired soul-pop raver that was easily his catchiest, happiest single to date. Needless to say, it was also his most accessible, and, in that sense it was a good introduction to So, the catchiest, happiest record he ever cut. "Sledgehammer" propelled the record toward blockbuster status, and Gabriel had enough songs with single potential to keep it there. There was "Big Time," another colorful dance number; "Don't Give Up," a moving duet with Kate Bush; "Red Rain," a stately anthem popular on album rock radio; and "In Your Eyes," Gabriel's greatest love song which achieved genuine classic status after being featured in Cameron Crowe's classic, Say Anything. 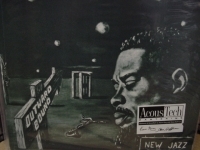 These all illustrated the strengths of the album: Gabriel's increased melodicism and ability to blend African music, jangly pop, and soul into his moody art rock. Apart from these singles, plus the urgent "That Voice Again," the rest of the record is as quiet as the album tracks of Security. The difference is, the singles on that record were part of the overall fabric; here, the singles are the fabric, which can make the album seem top-heavy (a fault of many blockbuster albums, particularly those of the mid-'80s). Even so, those songs are so strong, finding Gabriel in a new found confidence and accessibility, that it's hard not to be won over by them, even if So doesn't develop the unity of its two predecessors. The Classic Reissue was cut from the original 1/2" 30 ips analog master tapes on the Classic all tube stereo cutting system at Bernie Grundman Mastering by "The Wizard" Bernie Grundman himself. This release features the additional tune "We Do What We're Told (Milgrames 37)" that was originally not on the Geffen vinyl issue in 1986. Classic Records is please to offer this 45rpm Four single-sided discs set on Classic Records 200g Clarity SV-P for the first time! 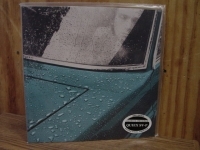 Features: o Quiex Clarity SV-P II Clear Vinyl o 45rpm o 200g o Four LPs o Stereo Version Selections: 1. Red Rain 2. Sledgehammer 3. Don't Give Up 4. That Voice Again 5. Mercy Street 6. Big Time 7. We Do What We're Told (Milgrames 37) 8. This is the Picture (excellent birds) 9. In Your Eyes International Buyers - Please Note: Import duties, taxes, and charges are not included in the item price or shipping cost. These charges are the buyer's responsibility. Please check with your country's customs office to determine what these additional costs will be prior to bidding or buying. Note: It's illegal to falsify customs declarations or mark an item as a "gift" in order to avoid customs fees INTERNATIONAL BUYERS NEED TO BE AWARE OF THE CUSTOM'S TAXES IN THEIR OWN COUNTRY AND KNOW THEY (AS THE BUYER) ARE RESPONSIBLE FOR CUSTOMS TAXES. OUT OF PRINT PRODUCT is IRREPLACEABLE and therefore NOT RETURNABLE. USA SHIPPING: We box/package protectively - Ship UPS Ground/Insured within Continental USA - Hawaii/Alaska by mail. We accept PayPal ONLY WITH CONFIRMED SHIPPING ADDRESS INT'L SHIPPING: We box/package protectively for safe world-wide shipping. When accepting PayPal, ship ONLY WITH EXPRESS MAIL FULLY INSURED or PRIORITY MAIL FULLY INSURED - Because of Postal Regulations, U.K., CHILE & MEXICO EXPRESS ONLY if over $80.00. International Buyers are responsible for their country's Customs Fees. 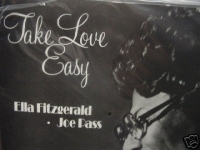 "Eddie Kendricks, Keep On Truckin'"
"Ella Fitgerald/Oscar Peterson, Ella and Oscar - 45 Speed Double LP"
"Ella Fitzgerald & Joe Pass, Take Love Easy (2 LPs Low #d Pressing) - 180 Gram - 45 Speed 2 LPs"
"Ella Fitzgerald & Joe Pass,Take Love Easy - 180 Gram - 45 Speed - Limited Numbered Edition"
"Ella Fitzgerald, Fine & Mellow - #d Limited Edition 45sp 2 LP Set"
"Eric Dolphy, Outward Bound #140 - 2 LPs"
45 Speed 180 Gram Limited Edition Analog Virgin Vinyl "Low #140 Pressing." 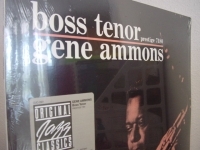 Another of the mid-1950s Ammons studio jam sessions for Prestige, Blue Gene lives up to its title by utilizing blues changes as the basis for three of its four selections. Pianist Mal Waldron wrote all these lines and the minor-key ballad, "Hip Tip." 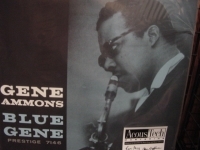 Ammons was one of the most expressive saxophonists and, in Idrees Sulieman and Pepper Adams, he found soulmates among the other horns. 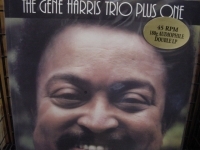 Tracks Include: "Blue Gene" "Scamperin'" "Blue Greens and Beans" "Hip Tip"
"Gene Harris Trio, Plus One (2 LPs) - 180 Gram - 45 Speed - Last Copy"
"Isaac Hayes, Best Of #83 - 45 speed 180 Gram"